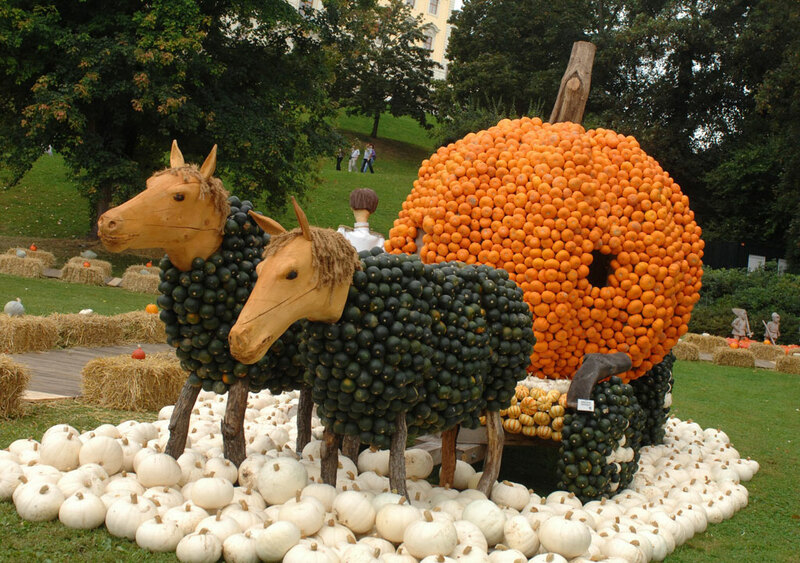 This year's world's biggest pumpkin exhibition in the gardens of the Residence Castle will take place from August 30th until November 4th 2018. Every year the presenters display an incredible number of more then 500.000 pumpkins of 600 different kinds from all over the world . By collecting special recipes, cooking advice and much more, you will shortly become a pumpkin expert. Try the different offerings at the specialized pumpkin restaurant: pumpkin soup, pumpkin pan-fry, pumpkin spaghetti, and pumpkin wine are just some examples of what you will find there. Pumpkin shops offer extraordinary specialities, such as pumpkin skincare, pickled pumpkins, pumpkin schnapps, pumpkin spread, seeds and much more. Furthermore, you will find a wide variety of seasonal decorations. Bookable on weekends and school holidays between September 1st and November 3rd 2018.